The Rebel Sweetheart. 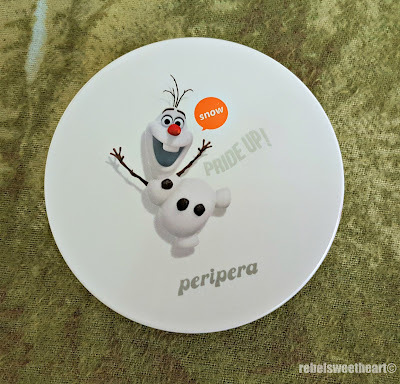 : Spotlight | Peripera Frozen Snow White Pride Up! Pact. 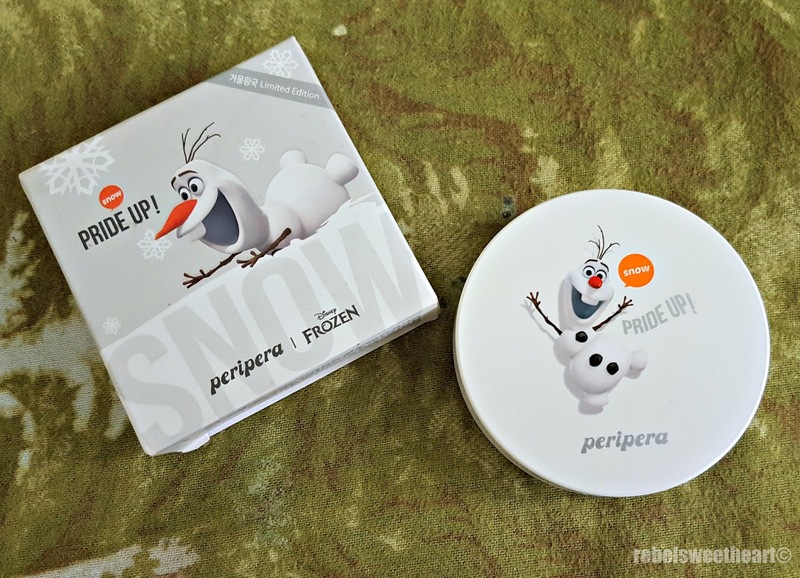 Spotlight | Peripera Frozen Snow White Pride Up! Pact. 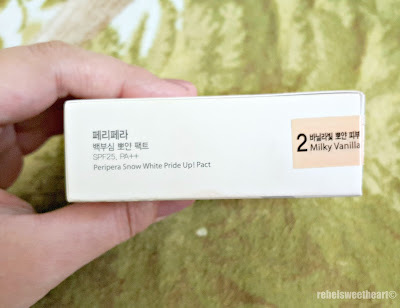 It's been months since I bought this Peripera Snow White Pride Up! Pact, and it practically took me forever to decide whether I was going to use it or not. I don't have issues with the product per se, I just did not want to ruin the packaging simply because it's way too cute! 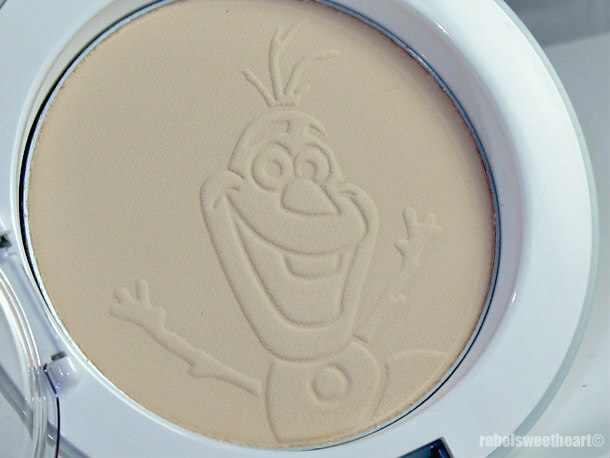 I mean just look at Olaf, smiling brightly at you. He's imprinted on the powder, and I just couldn't bring myself to deface this cuteness. Unfortunately the pact that I regularly use hit the pan just recently, and I had no choice but to use this instead. Peripera x Frozen Snow White Pride Up! Pact. Inside and out, the packaging is a doll! The pact comes in two shades, #1 Milky Peach and #2 Milky Vanilla. Mine is the latter, as you can see. 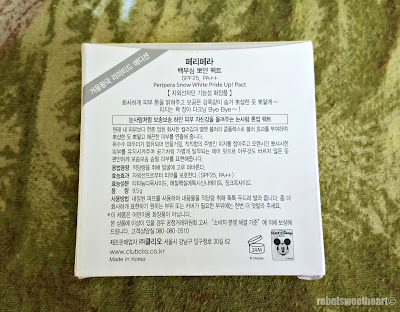 Mostly Hangul text at the back of the box. It comes with the usual mirror and a powder puff applicator, separated from the pact by a fitted piece of plastic. 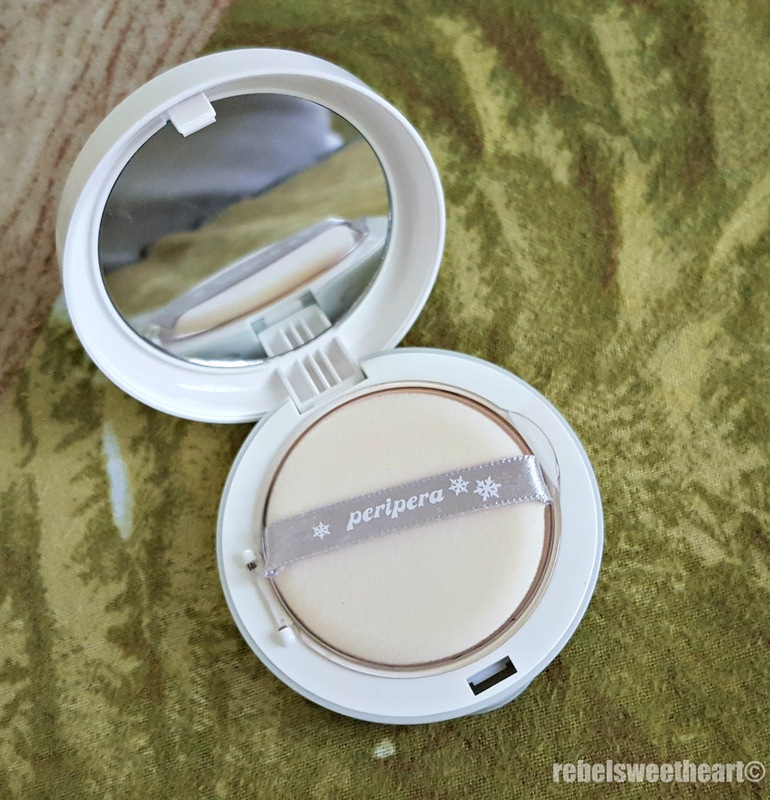 Mirror and powder puff applicator. The plastic separator also has a smiling Olaf printed on it. 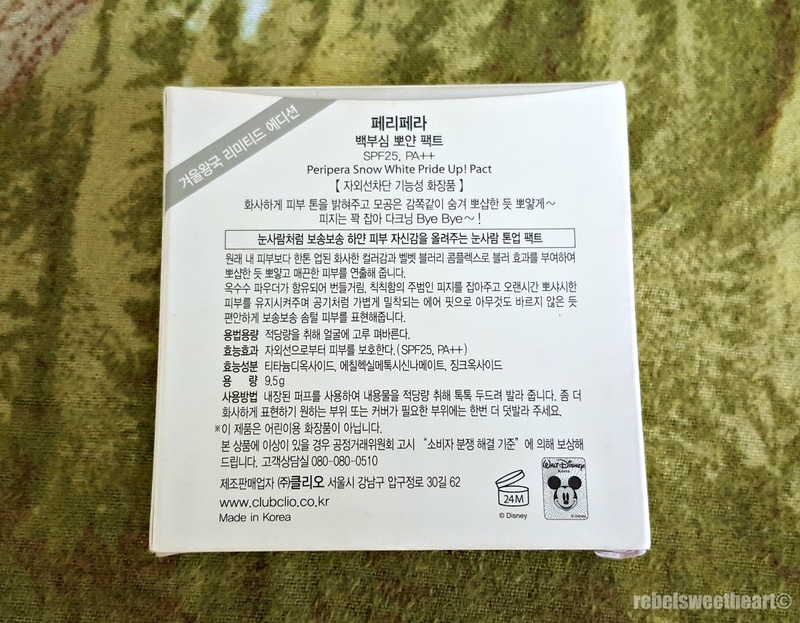 The powder puff applicator that comes with it works fine, but since I almost always have issues with applicators breaking apart after a few uses, I use a powder brush instead. #2 Milky Vanilla is a very light, yellow-tinged beige, suitable for those with light to medium skintones. 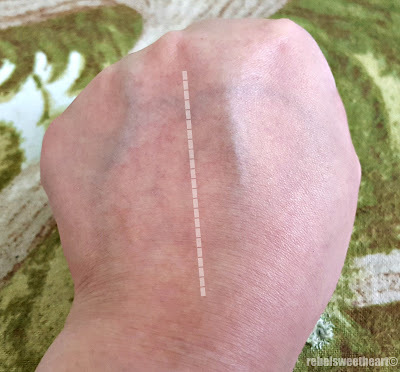 The shade looks lighter when swatched on my fingers, but the color blends on my face just right. 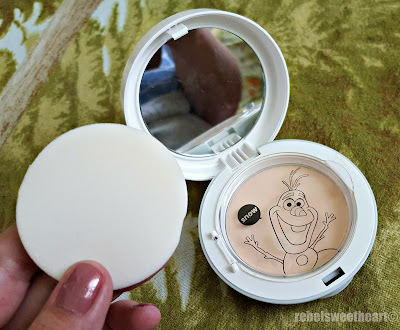 The powder has a really smooth, finely-milled texture and doesn't look chalky on the skin when applied. 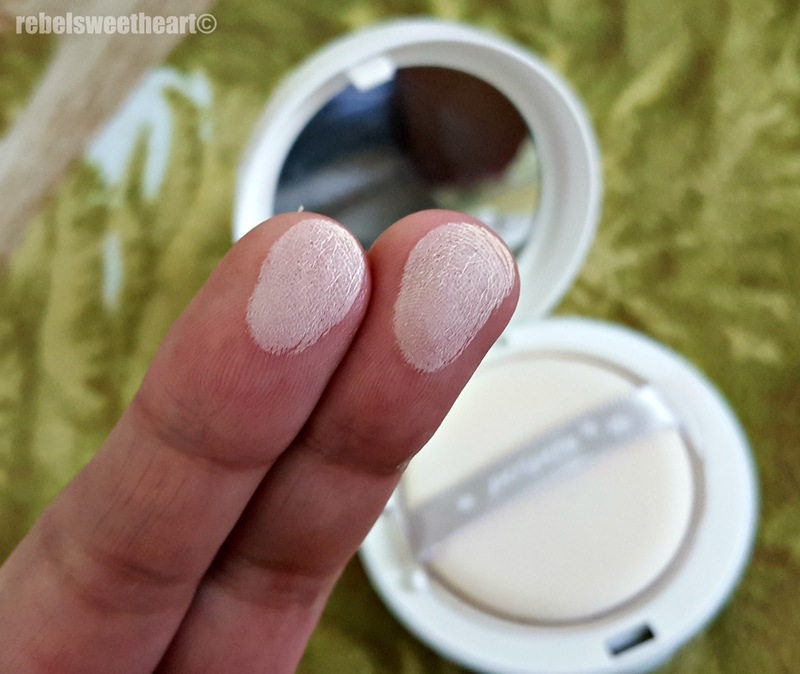 It goes on smoothly, doesn't feel heavy, and leaves the face with a nice matte finish. I love how this product is great for killing shine (my skin isn't oily, but this extremely hot Philippine weather makes my face a tad greasy), and how it doesn't add a ton of extra product on my face each time I touch-up. Bare skin on the left, with powder pact on the right. Oh, and it has sun protection, too! SPF25 PA++ at that! - Doesn't feel chalky on the skin. - Smoothens the skin, blurs out pores. - Gives the skin a natural finish. - Great for mattifying the skin. - Affordable price (18,000 won, around $16 or Php 750). - Available in just two shades. - Not available locally. I had to buy this directly from Korea. Peripera Snow White Pride Up Pact. Tony Moly Simply Style Slim Curling Mascara. 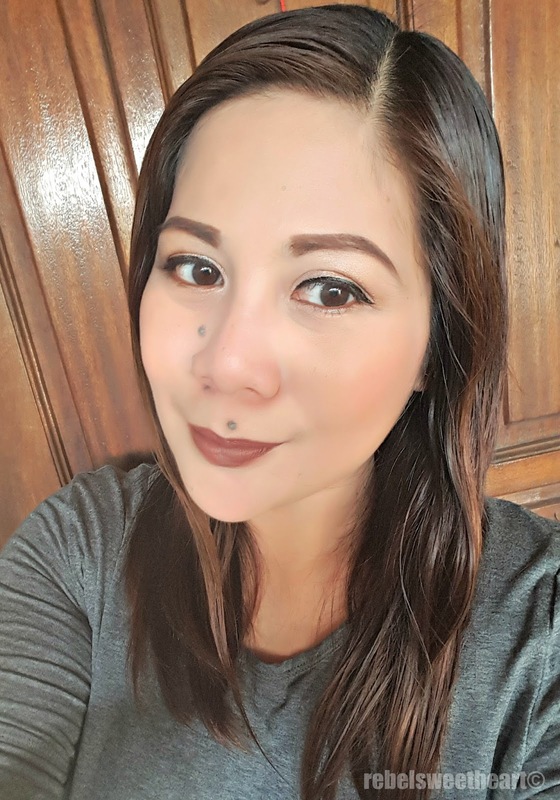 LIPS: Colour Pop Ultra Matte Lip in Limbo. How cute is that packaging! I had never heard about a powder that tones up your skin. I need to learn more about this. Sounds interesting. It's so cute and the fact that it works well and is inexpensive is definitely a plus plus! I hope there would be an online shop here in PH offering that. I wouldn't want to use that either because of Olaf's cuteness. Good to know that it goes on smoothly and that it feels light. The weather here is really dreadful, it always feels like walking in the dessert the minute you go outside! This is new to me! And I'd like to try this one, it looks so smooth in skin. Cute idea for a nice product. This is really awesome! Awwww what a cute Powder pact I wouldnt wanna deface it either, Pity it doesnt come in Chocolate matt finish! You look gorgeous as always with your makeup. Oh very cute product darling! Tell me about it! I was sweating the moment I stepped out of the shower earlier today! My goodness! 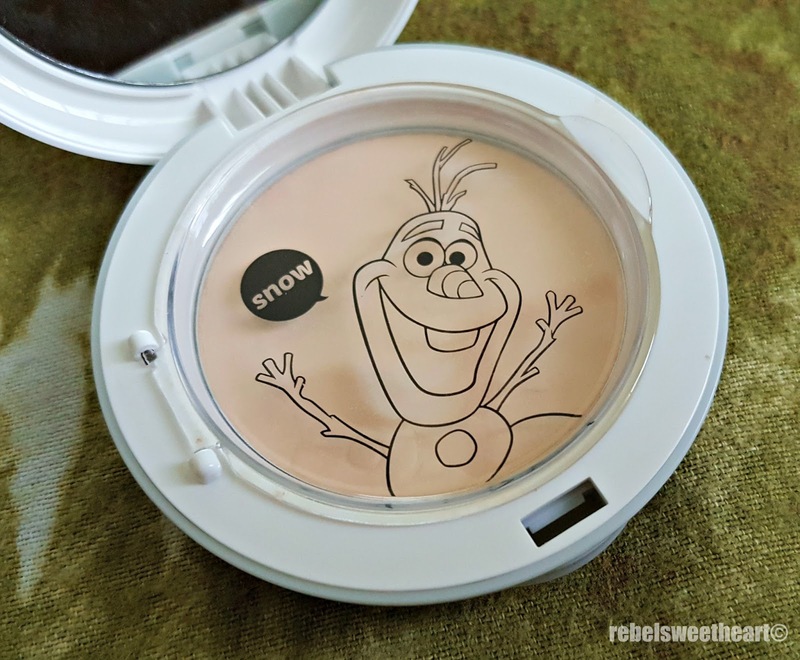 That's the cutest powder ever! Love Olaf! I can see a lot of little girls wanting this because of the Disney-themes! I didn't know a product like this existed. Thanks for sharing.